Prima is Italian for “before”, and Red Truck Brewery is Canadian for party. 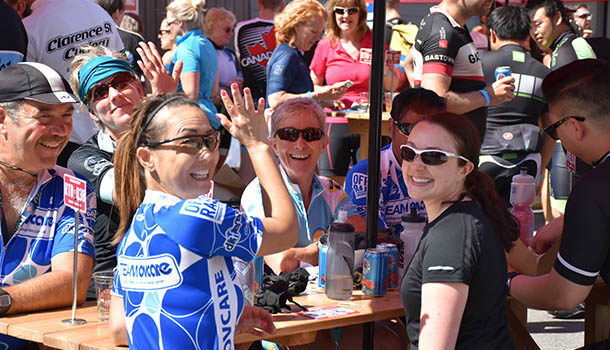 Come join us at our free Vancouver PrimaFondo events in June, July and August where we go for a ride and then party with beer, a BBQ and lots of prize giveaways. Location: Red Truck Brewery, Vancouver. Oh yeah… the first beer’s on us! Join us for a social ride in the morning or head straight on over to the party. The ride is split up into different speed and distance groups – just choose whatever feels good on the day. We’ll cruise around with the guys from Trek Red Truck Racing before heading back to the brewery for food, drink and festivities. There’s giveaways galore and that essential feelgood vibe. Got your own morning planned? No worries. Come on down between 11-2 to rack your bike and soak up the fun. Last but not least, there’s secure bike valet parking. Nice. Purchase link: See you in 2019! Tickets are extremely popular and go quick. For details on how to get your free tickets while they last, make sure you sign up to our email newsletter.